When it comes to powders I don't ask a lot. I just need one to remove excess shine from my T-zone and to set my makeup. 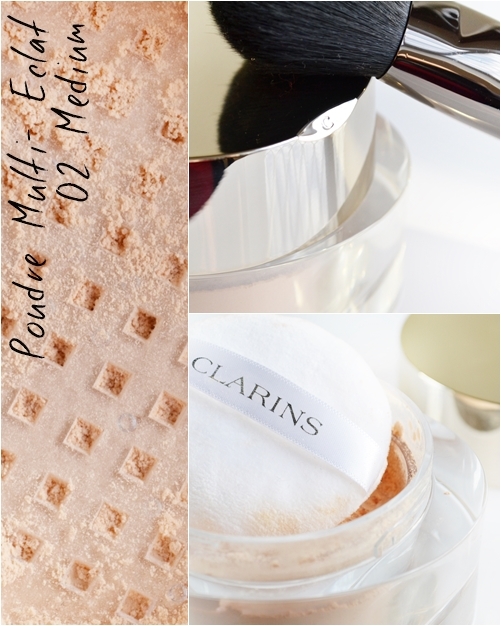 However for the past week I have switched my good but cheap-y Rimmel Stay Matte pressed powder for the new Clarins Mineral Loose Powder and I can honestly say I now see the appeal of more expensive finely milled loose powders. The new Clarins Mineral Loose Powder comes in three shades - light, medium and dark but is transparent in finish (prices/links at the bottom of the post). The jar is a massive 30g of powder which I am frankly amazed at.... this powder will last you years (I shouldn't say this with makeup having 'expiry' dates but really, who throws away powder products!) and contains a removeable sifter and powder puff. For my first application of this I planned to use it how I normally would a pressed powder, down my t-zone to remove shine. But instead of just mattifying the skin it also seemed to diffuse my not so sightly enlarged pores around my nose and chin. 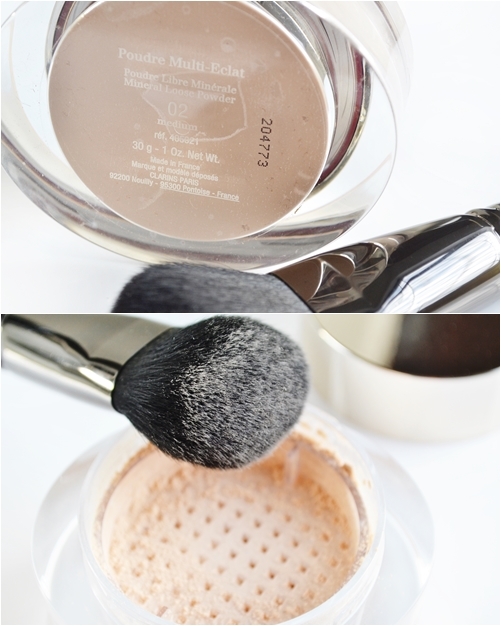 Which then led to using the mineral powder over my entire face... something I have never done before. Instead of looking cakey they powder created a mattified but radiant finish, which actually amazed me as I was expecting just a nice finely milled powder that removed shine. Since then I have been using the powder daily in the exact same way without my skin looking like it has been powdered at all, it is literally like I have clicked the 'clear skin' function on my photo editing programme! I can see this working on both younger oily skin and more mature skin with fine lines. I think the beauty of this powder has to be that it is so fine and weightless so whether you use the powder puff for better coverage or a powder brush to lightly dust the skin this will not look cakey or overly matte, plus the powder makes the skin feel so soft. I can honestly say I have been more than impressed! Also I cannot not mention that the powder actually have a light scent to it, I would best describe it as fresh and cucumber-y which is a lovely touch. The mineral powder retails for £30.00 and can be found on the Clarins website... though if you want to save yourself a few pennies Escentual currently stock it for £24.00 - here.